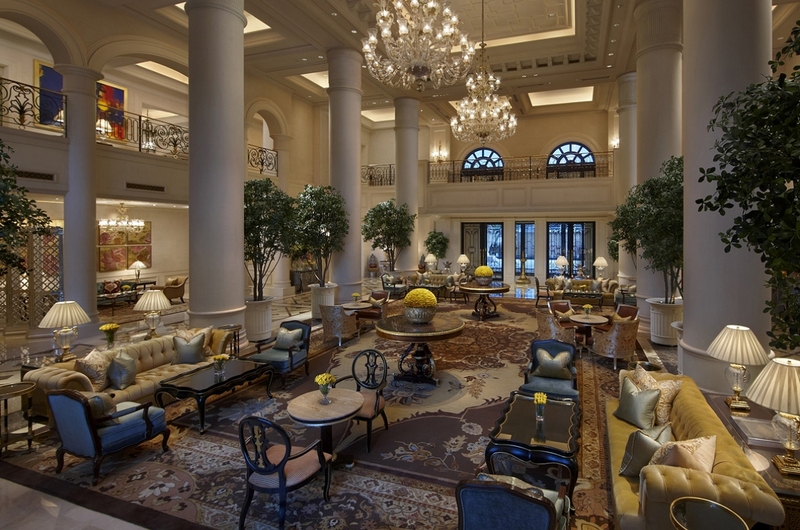 The Leela Palace New Delhi is destined to become one of the great hotels of the world. Its architecture is inspired by Lutyens and its levels of refinement and generosity of space mirror the great palaces of the world. Breathtaking vision superbly realised. Luxurious oversized suites boast every imaginable amenity without disrupting the warm balance of Indian heritage. Five star dining, a world renowned spa and legendary art and architecture await each guest. Photo is from my India trip this past January. In Bangalore we had a lovely brnuch at the elegant Leela Palace hotel and spent the remainder of the afternoon exploring the grounds and shopping at the galleria where I found this Christmas tree. Seea0more fun photos from the Leela Palace hotel.